“Beating heart and spurting blood mean life. But behind this redness and liquid stream that stand for vitality is bone. Bone makes blood. It is antecedent to blood. . . . Renewal and replacement of cells goes on in the marrow of the bones. Bones live. We must sense them if we are to understand their interdependence with their adjoined soft tissues." I'll be co-teaching a workshop on Feldenkrais for meditation posture later this month (Sunday, February 26th 2-5:30 pm), which has had me thinking about my own influences in this regard. One of them is Mabel Todd, a pioneering figure of Western somatics who lived from 1880-1956. In my research on Todd, I have not found any indication that she was interested in Eastern meditation, though as an educated person she no doubt knew about it. As scholar Thomas Tweed established in his book on the American encounter with Buddhism in the Victorian era, Buddhism caught the imagination of many educated Americans in that time, though the religion faced strong forms of cultural limitation. As one might expect from the image on Todd's most famous book (pictured above), her foremost influence was on the world of modern dance. But Mabel Todd was not a dancer, either. Her impact on dance happened because she lived in Boston and New York - cities with strong dance communities - and she came to have many students (and even more so, students of students) who were dancers. Though she was pictured in Victorian undergarments demonstrating crawling in her Boston studio, she was not a woman of the artistic avante-garde. In fact, Mabel Todd would have liked nothing more than to have been an engineer. And this is how Todd came to impact both modern dance and my meditation practice: she thought a lot about bones. “Nature has chosen wisely in supplying us with bone," she wrote. "Bone has the qualities of hardness, stiffness and elasticity which made steel the engineer’s chosen medium" (Thinking Body, pg. 5). Observing her own and others' movement and posture, Todd came to the conclusion that many problems - both physical and psychological - stemmed from people's inability to sense skeletal support, and their consequent habit of using muscles to do the antigravity work of bones. Lulu Sweigard's book, condensing decades of teaching and research, was published just after her death in 1974. Todd had many ideas for how to correct these faulty habits. She referred to her practices as "structural hygiene." 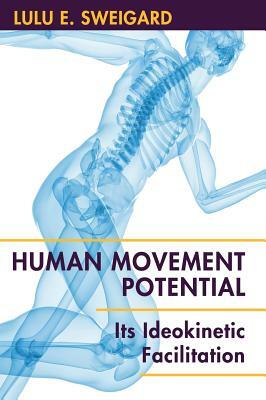 Her student Lulu Sweigard, highlighting the work's dual emphasis on corrective concepts/imagery and movement, aptly renamed it "ideokinesis." This book, written by teachers in the Mabel Todd somatics lineage, takes the name by which that school is today most commonly known. Foremost among Todd's many practices was the effort to visualize and sense balance in the skeleton - balance of the cranium on the spine, of the shoulder girdle and arms on the ribs and spine, and of the spine and pelvis on the hip joints. All of these have become part of my practice of refining my self-image in meditation posture, but none more so than awareness of my hip joints. Moshe Feldenkrais was an admirer of Mabel Todd and shared with her the concept of the "high points of the hip joints" - the ideal of maintaining balance and length by organizing one's pelvis to be perched atop the balls of the femurs rather than sliding forward, back, and to the sides, and using muscular effort to correct the slide. Todd helped me see that meditation posture is of necessity active. Referring to the human body, she wrote, “There can be no such thing as fixity in such a fluctuating mass. Every sensation from the outside world, every activity and thought within, causes a change somewhere in the organism, which nonetheless has a marvelous capacity for running smoothly and accurately" (Thinking Body, 26). For meditation posture to "run smoothly and accurately," it requires being organized around helpful images and concepts. It is from this basis in engaged, sensitive awareness that experiential stillness becomes possible. As a Rolfer once told me, "Meditation is not stagnation." The aesthetic and experience of stillness in meditation posture can be beautiful. From a visual standpoint, I have always been captured in this regard by this photo of Kodo Sawaki Roshi, a 20th Century Japanese Zen master. Yet for me - and, I suspect, for many of us contemporary Westerners - approaching stillness in meditation can be greatly helped through the kind of anatomical-phenomenological practice methods pioneered by the likes of Mabel Todd. She wrote: “Arbitrary postures of static design lose their grip on an imagination informed by a philosophy of poise in movement” - and in stillness.